Are you planning a big move? When you’re about to change your address, you’ll probably wonder if you should rent a moving truck in Maui. Often times, people prefer moving on their own, as opposed to hiring a team of movers and packers. When there are only few boxes to carry, opting to do everything yourself can make sense. But when heavy lifting is involved, there are few factors to consider before deciding to rent a moving truck in Maui. For long distance transfers, searching for a moving company always makes sense. But when you’re only moving a few neighborhoods away, it’s only normal to want to save both time and money. Hiring a local moving company implies taking the time to research the best ones. Money is also an issue, for someone on an already tight budget. But before you decide to ask your family and friends for help, take a look at the pros and cons of renting a moving truck in Maui and move on your own. Renting a truck in Maui can save you money. As opposed to paying a team of professional movers, renting a truck in Maui before your big move can potentially save you some money. You’re in full control over the moving process. Knowing you’re the only one handling your own possessions can be a comforting though. Not a lot of people are fond of the idea of letting someone else touch their personal belongings. If some of your possessions have sentimental value, you might feel uncomfortable knowing their faith is in someone else’s hands. Moving on your own terms can be an advantage. When you rent your own moving truck in Maui, you don’t depend on a preset schedule. Trucks and vans are usually rented for the day, so you can safely take your time and load and unload your belongings. There’s no need to worry about hourly fees and tipping the workers. Renting a moving truck means you can’t rely on help. When you opt to hire a moving company, you can be sure the heavy lifting is done by professionals. But when you rent your own moving truck in Maui, you either do everything yourself or rely on friends, family or neighbors to help you out. The last option might sound good to you, but everyone else might have a different opinion. Driving a fully loaded truck can be tricky. Have you ever driven a fully loaded truck before? It can be difficult, if you have no experience. But unfortunately, that’s not all! If you have little experience driving large vehicles on a regular basis, you’re probably not familiar with how to properly load your items either. Your furniture and boxes might not stay safe during the move. Insurance, gas money and other charges all add up. 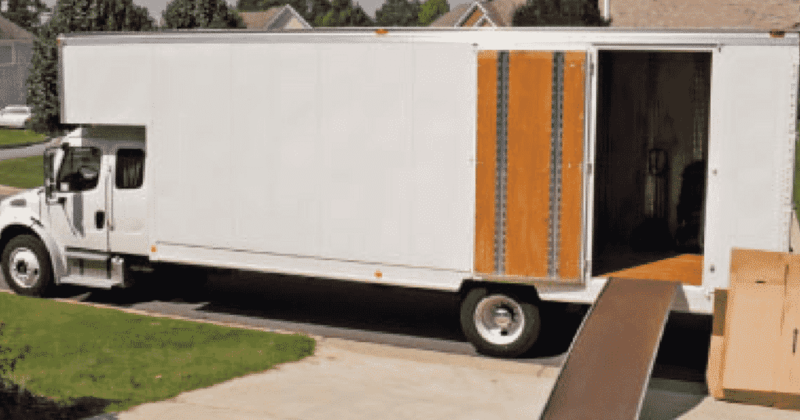 Before you decide to rent a moving truck in Maui, consider all the costs involved. Gas costs can add up quickly, not to mention paying for insurance or other charges the rental company might add to your bill.